Libby Purves OBE was the presenter of BBC Radio 4’s “Midweek” programme for 33 years. Since 1983, this Wednesday morning show was a gathering of the great, the good and the downright eccentric! A mix of music, personalities and opinions about things not exactly in the news, but from somewhere round its periphery. 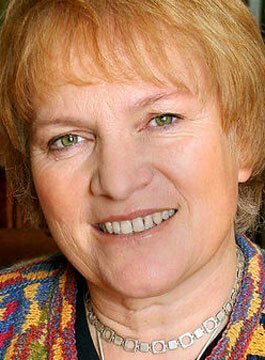 Libby Purves was also the youngest and first ever woman presenter of the “Today” programme and also fronted “The Learning Curve” all for Radio 4. A major columnist for The Times, Libby also writes for many other publications including the Daily Mail. She was awarded an OBE for her services to journalism in 1999 and was ‘Columnist of the Year’ in the same year. Libby accidentally edited The Tatler for 6 months in 1982. As an author, she has written books on childcare and family life, as well as best selling novels. She has published her auto-biography and a memoir on radio. Libby Purves makes an entertaining and informative speaker, and she can often be found hosting events and award ceremonies or acting as a judge. Recent events have included: The Royal Society, The Royal Navy, The Gin and Vodka Association, Roedean School, The National Bursars Association and the Royal Geographical Association. As the daughter of a travelling diplomat, Libby was educated in Israel, Bangkok, France, Johannesburg, Tunbridge Wells and at St Anne’s College Oxford, where she obtained a first class honours degree in English Language and Literature. Libby is married to the broadcaster Paul Heiney, and her interests are sailing, travelling and opera.